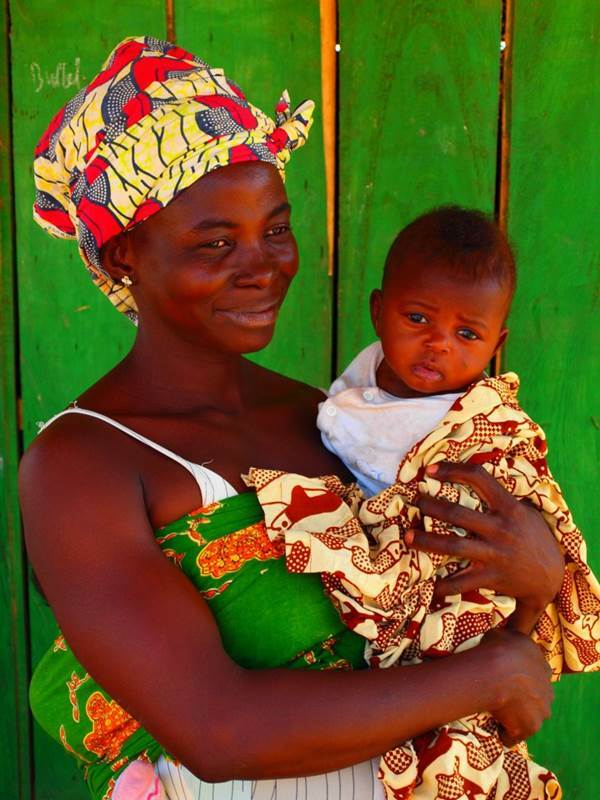 We’re in Ouagadougou with a good wifi connection, so thought we’d take the chance to update you on the latest happenings from our return trip so far. We spent Christmas and New Years in Kumasi, Ghana, before driving down to Accra to meet the group. After obtaining some visas in the capital, we headed along the coast for some time on the beach and to visit the slave forts in Elmina and Cape Coast. Ghana’s coastline is as pretty as it ever has been, always brings a smile to the face when you drive along the palm tree lined beach front. Most of the group went on the canopy walkways at Kakum National Park, tens of meters above the rainforest, for great views of the surroundings. After a lunch stop we carried on to Kumasi for a couple of nights, before heading out to Lake Bosumtwi. We found a great camp spot by the lake front, a really chilled afternoon had by all. The trip continued north as we made for Mole National Park. 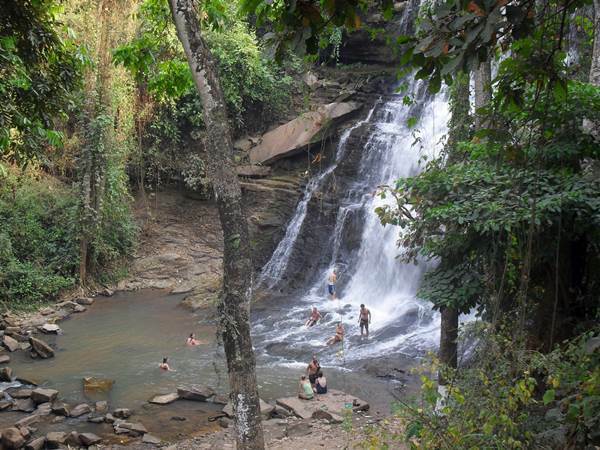 To break up the drive we spent the night at the ever impressive Kintampo falls. Being a weekday we practically had the place to ourselves! For this time of year there was still a decent amount of water coming over the edge. The road into Mole National Park is currently being upgraded, lots of vegetation has been cleared to lay what looks like a 4 lane highway. We presume that this road will connect the north of Ghana to Ivory Coast in the west. The group all headed out on nature walks and saw elephants, bush bucks, warthogs, baboons and monkeys amongst much more. All appreciated the swimming pool to cool off in after the day animal spotting. 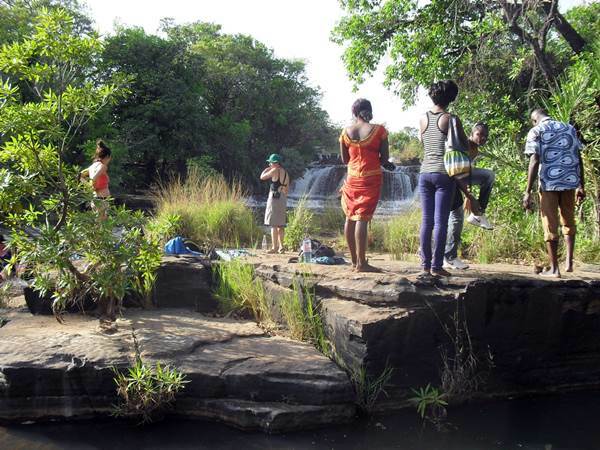 We decided to spend a couple of nights in Bolgatanga in the far north of Ghana, and found a decent spot in town to camp. 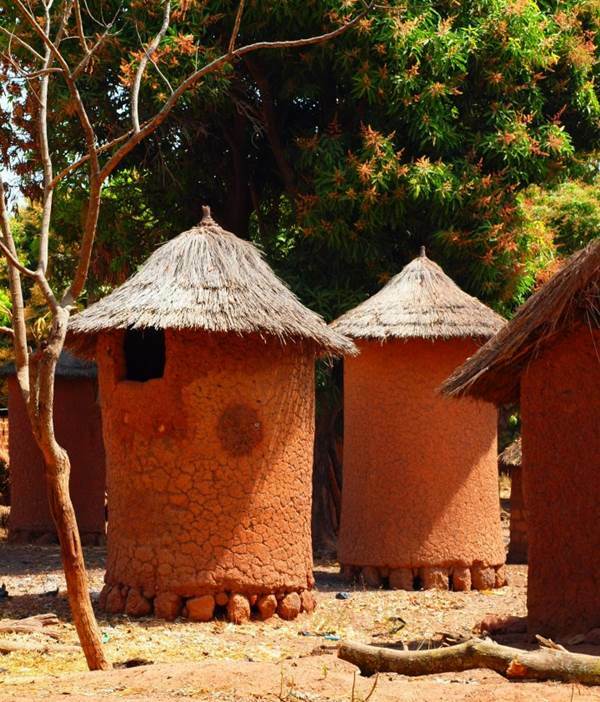 The group then spent the next day taking taxis to visit various places around the vicinity of Bolgatanga, including shrines in the Tongo Hills, and also traditional arts and crafts villages further towards the Togo and Burkina Faso borders. Crossing into Burkina Faso we had 2 armed guards accompany us for a 30km stretch through the forest area due to banditry, but then quickly made it to the capital Ouagadougou. Everybody enjoyed a free day visiting the city centre and relaxing by the pool, before we headed to Bobo Dioulassou for 2 nights. 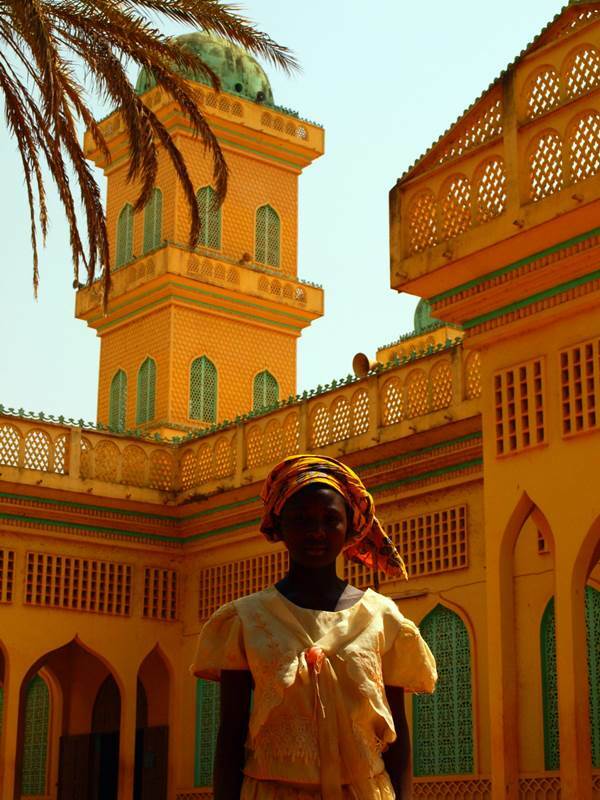 The mosque and market in Bobo are so picturesque and a hive of activity. 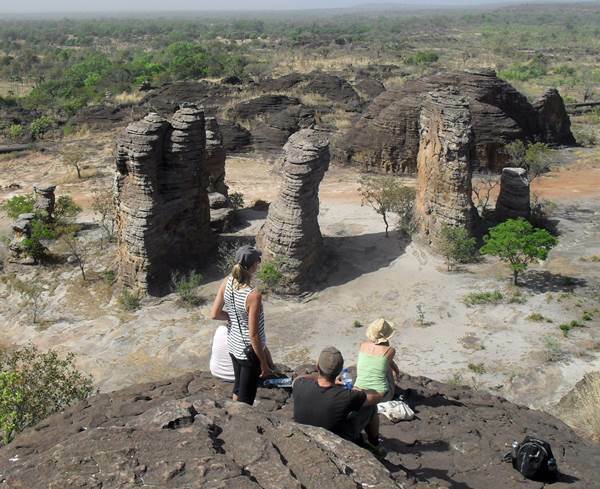 We then headed out into the Banfora region, spending 3 days visiting the natural sights the area is famed for. 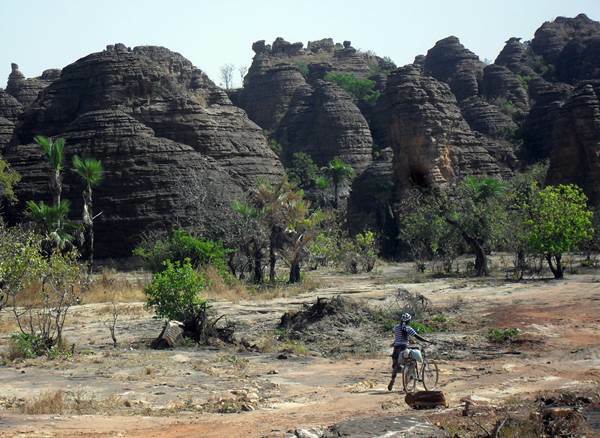 We camped at the stunning Karfiguela waterfalls, and then walked out to wonder amongst the Domes of Fabedougou. On the way you could see the massive irrigation pipes put in during the days of French rule which carry water down from the falls to irrigate the sugar cane fields below. We then broke camp and headed out towards the border with Mali and the town of Sindou. 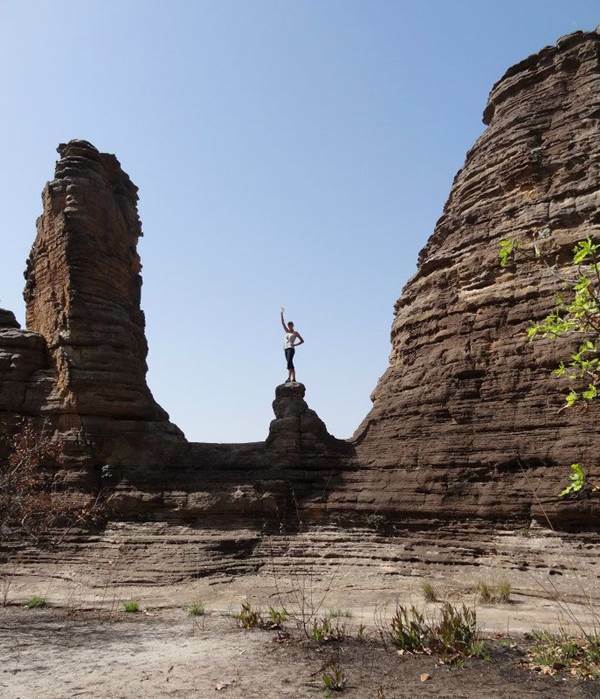 From here we walked to the Sindou Peaks, an amazing sight of natural rock formations that spire into the skies above. The wind has blown the sand through the area for centuries and created all manner of wonderful shaped peaks, quite similar in shape to those you would see in Cappadocia in Turkey. It feels almost lunar like at times! 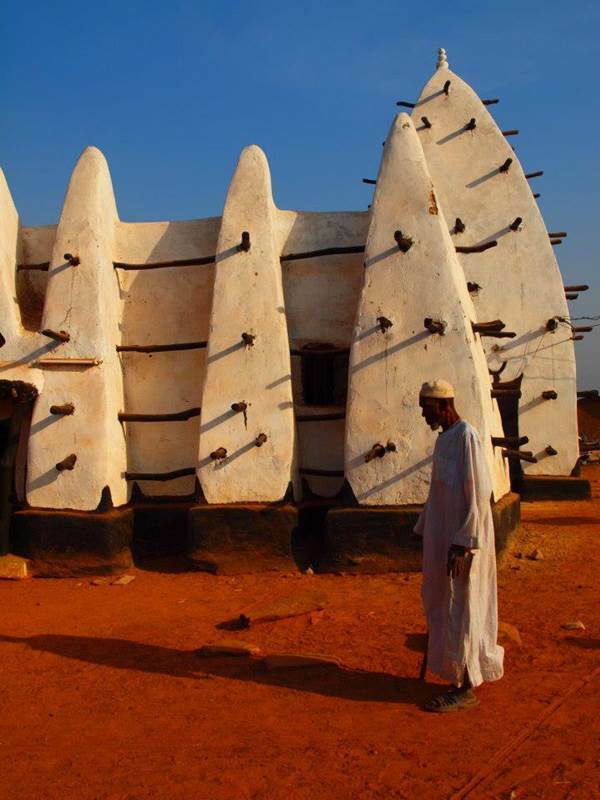 We are now in the Ivory Coast, and the group have been off exploring the surrounding arts and crafts villages the north is famed for. 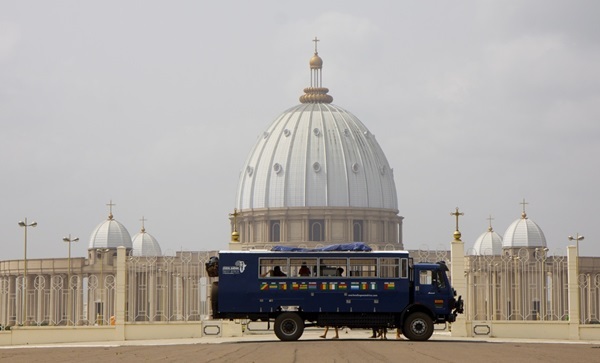 We now continue our Ivorian adventure as we head for the infamous Basilica in Yam! Remember guys, dates for 2013 and 2014 are now up on this site, you can find them under THE TRIPS tab at the top of this page. We hope you can join us for the adventure later in the year! PS We wont have much email access until we arrive into Freetown on February 24th. We are heading into the jungle between Ivory Coast and Guinea for a while! So if you don’t hear back from us straight away please be patient, we will be intouch as soon as we can.